← If you have Crohn’s, do you also have a food intolerance? As always, blend until smooth, drink and enjoy! 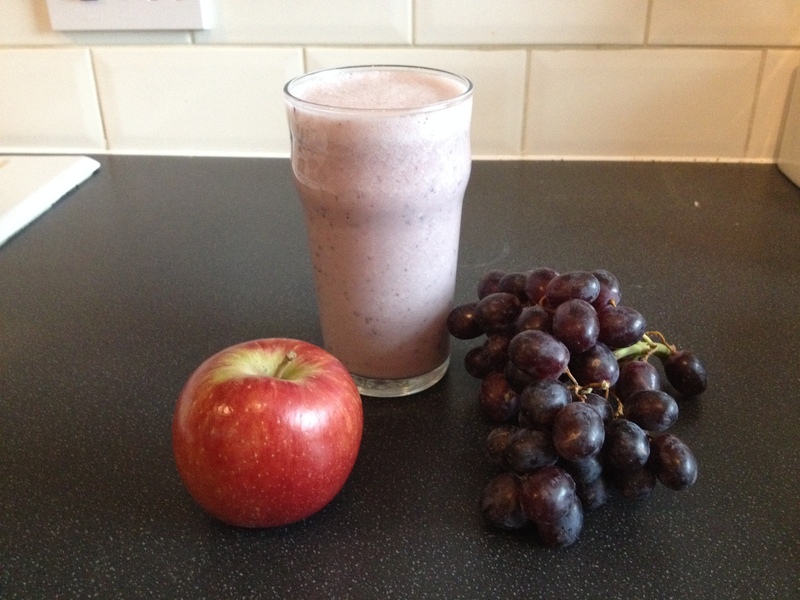 This entry was posted in Recipes and tagged Almond milk, antioxidents, Apple, Grape, Smoothie, Smoothie recipes, Soy protein powder, Vitamin C. Bookmark the permalink.